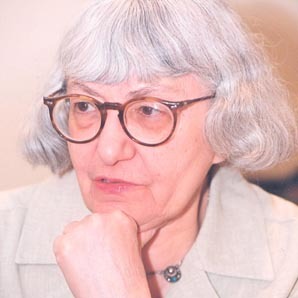 My review of Cynthia Ozick’s new novel Foreign Bodies is on the front page of Jewish Ideas Daily this morning. In her latest book, Ozick rewrites The Ambassadors, the novel that is by most accounts Henry James’s masterpiece. Ozick does not agree. She thinks that James is at his best in some of the short stories. James is a touchstone for Ozick. Not only has she written about him repeatedly in her literary essays (the kind of writing, for my money, she is best at). What is more, she made him a character in Dictation (2008). Nevertheless, she is of two minds about him. On the one hand, from an early age she was a member of his “cult.” He embodied the life of fiction for her, as for so many other young writers. In “The Lesson of the Master,” an essay originally published in the New York Review of Books and reprinted the next year in Art and Ardor (1983), she testifies to the danger of his influence. “I thought it was necessary—it was imperative, there was no other path!” she wrote—“to be, all at once, with no progression or evolution, the author of the equivalent of The Ambassadors, The Wings of the Dove,” as if James himself had never served an apprenticeship, turning out lesser works. Cynthia Ozick, “Literature as Idol: Harold Bloom,” in Art and Ardor (New York: Knopf, 1983), p. 194. Originally published as “Judaism and Harold Bloom” in Commentary (January 1979). Saul Bellow, Letters, ed. Benjamin Taylor (New York: Viking, 2010). 571 pp. $35.00. Not many more collections of letters written by American masters are likely to appear, although readers half a century from now might look forward to Michael Chabon’s Collected Text Messages or Jonathan Franzen’s Tweets. 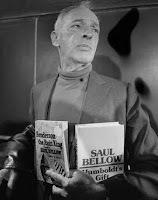 Saul Bellow is one of the last great novelists for whom letters were not really a convenient way to stay in touch, but a literary genre with unique opportunities for expression and equally unique demands. For him, personal letters were only rarely personal (and then they were not unique in any respect), but might be best described as a kind of informal literary reflection. But not only the events in Poland, and not only in the ’forties. The fall of the Berlin Wall in November 1989 is not mentioned even once, and the revolutionary events two years later are occasion merely to observe that “one still meets people from Harvard with a hear-no-evil fixation on the essential benevolence of the Soviet Union from first to last.” From first to last, Bellow is preoccupied with “literature”—that is, the high claims for the artistic status of certain modern masterpieces—and more regularly with the day-to-day business of writing. Bellow’s first surviving letter, written a few days short of his seventeenth birthday to “sever relations” with a high-school flame, is a half-serious catalogue of a young writer’s values. Although the girl, with her “Young Communist League mind,” may dismiss him as a “[p]hrase-monger,” Bellow declares that he is in his element as long as he has his pen. Indeed he is. He resorts to letters for the rest of his life to commit himself to paper, to praise other writers, to carp behind their backs, to refine his literary thinking, and to perfect his phrasing. What is astonishing, in fact, is how much Bellow in his letters sounds like Bellow in his novels, darting unpredictably from topic to topic, plumbing philosophical depths with the lightness of a water strider, braiding his ideas into memorable sentences. How many other writers can write first drafts with such distinction and distinctiveness? Apologizing for not writing sooner to tell Stanley Elkin that he was “the real thing,” for example, Bellow shrugs, “But that’s how lives are lived—one aimless good intention after another, impulses buried and occasions missed or frittered away.” Despite its semblance of generality, this is a comment on the writer’s life, a subject that was never far from his mind. Bellow was jealous of the writer’s prerogatives, and unwilling to claim more for novelists than they were equipped to provide. He writes to the critic Granville Hicks: “[T]here is only one way to defeat the enemy”—the enemy of literature, he means—“and that is to write as well as one can.” Argument is for philosophers, he says elsewhere. “Writers can only try to demonstrate in close detail without opinion,” he says to Louis Gallo while working on Herzog. Get back to literature—please. And luckily, Bellow does. Again and again. Thank God or the muse or whoever deserves thanks. There is just enough scandal here to arouse the secret gossip in every reader of great literature (Bellow detests Malamud’s New Life, as he repeats to several correspondents, finds “so many of the Southern writers gratuitously violent,” and has a famous falling-out with University of Chicago colleague Edward Shils, whom he describes as an “unlanced boil”), but more usual for him is the praise and encouragement of peers (Ralph Ellison, Wright Morris, John Cheever) and his inconsolable grief over lost friends (Isaac Rosenfeld, Oscar Tarcov, John Berryman). In one of his last letters, he thanks the novelist William Kennedy for “bringing together” in his 2002 novel Roscoe “your singular and wonderful view of things with the idea of a large fiction. . . .” But this is something that Saul Bellow managed to do in nearly everything he wrote, especially if fiction means, at its best, what he describes to Martin Amis: here and there, “a single page containing what is absolutely essential to expansion or survival.” The Letters contain many such pages, establishing it immediately as a true masterpiece of American literature. Today is Veterans’ Day, a day of gratitude and remembrance that should not go unremarked. Last year I examined veterans’ novels; no need to add further titles to the list. Although most of them aren’t very good, except for The Great Gatsby—your opinion of it changes forever when you read it as a veteran’s novel—I am increasingly struck by the disappearance of military service from the experience of most educated Americans, including most writers. In an essay that I have praised elsewhere, Lisa Schiffren shows how military values have been corrupted in American discourse:Discipline was reduced to authoritarianism; duty interfered with the higher calling of self-fulfillment; obedience was slavish submission to authority, which should be questioned at every juncture; the quest for glory was mere adventurism. Honor was found to be entirely a charade, unwinnable in any forum that involved defending the morally indefensible principles on which our culture rests.Although Schiffren goes on to lament the cultural invisibility of American war heroes (quick: name the first living soldier from the Iraq or Afghanistan wars to receive the Medal of Honor), I am concerned about the loss of something more ordinary—that is, unexceptional enlisted service, which demands nothing less of a man than determination and responsibility. While the country pauses today to respect genuine heroes like Sgt. Salvatore Giunta, it is important to honor too the ordinary serviceman, who is pretty much all that stands between American culture and an around-the-clock chattiness that tries to hold at bay the blank terror of death. In a comment to my reflections on cancer etiquette, Don asks what reading I found helpful in going through the experience of life-threatening cancer. In a similar vein, Martin Marty’s Cry of Absence (1983), a meditation on some of the Psalms after the cancer death of his wife Elsa, was oddly consoling. It will not be so for everyone, however. Building upon a distinction first advanced by Karl Rahner, Marty addresses those whose religious faith is “wintry,” who are intimately familiar with God’s absence and silence. That’s why the book, although deeply Christian, is marvellously appropriate for a post-Holocaust Jew. And of course Marty has the bonus effect of sending the grateful reader back to the Psalms themselves. I have also recommended Intoxicated by My Illness by the New York Times book critic Anatole Broyard, who died from the same kind of cancer that afflicted me. The best thing in the book remains his early story “What the Cystoscope Said,” based on his father’s death from cancer. Encouraged by these books, I supposed that I was ready to stare directly into the abyss. Both Sherwin Nuland’s How We Die (1995) and Peter de Vries’s novel The Blood of the Lamb (1961), were nevertheless too much for me. In fact, almost none of the cancer titles on the exhaustive Literature, Arts, and Medicine Database, compiled by the faculty of the New York University School of Medicine, was particularly welcome when I was at my worst. Only the poet L. E. Sissman, whom I have already praised for just this, spoke a language that sounded the right note of defiance and clarity. Otherwise I recall with pleasure the novels that I read in the hospital, which plunged me away from myself into other people’s woes or wonders: J. F. Powers’s Morte D’Urban (a very different kind of death than what I was contemplating), Bellow’s second book The Victim (about a very different kind of victim), and perhaps best of all, John Williams’s Stoner, which taught me all that I needed to learn about the quiet moral dignity of endurance. In the December issue of Vanity Fair, Christopher Hitchens takes up the difficult and perplexing question of what to say to someone who has cancer. Hitchens, who has Stage Four metastatic esophageal cancer, makes some sharp observations, as usual for him. He urges you not to confide the anecdotes of those who survived (or succumbed). If you ask how he is, be prepared for candor. At the same time, though, don’t make the mistake of assuming that he is ready for bluntness in return. In his best passage, Hitchens lights into the late Randy Pausch’s Last Lecture (“so sugary that you may need an insulin shot to withstand it”). In fact, I would add a piece of advice that it doesn’t occur to him to pass along. Don’t recommend The Last Lecture to someone with cancer. Pausch’s giddiness has nothing to do with real hope, nor with preparing oneself for death. If you recommend it, your friend will conclude—correctly, as it turns out—that you are not serious about what he is going through. Hitchens is entirely serious, of course. When people ask how he is, “I get straight to the point and say what the odds are,” he writes. “The swiftest way of doing this is to note that the thing about Stage Four is that there is no such thing as Stage Five.” Astutely, he notes that such a melancholy reflection may lead the cancer patient to become “self-centered and even solipsistic.” So the patient has responsibilities too. I was diagnosed with Stage Four metastatic prostate cancer (Gleason score, nine) three years ago last month. So perhaps I am qualified to weigh in. While Hitchens is right that “there is no such thing as Stage Five,” it does not follow that Stage Five is inevitable. At least it has not been for me—so far. Even so, hope is a dicey thing. And as far as I can tell, no one else can raise your hopes for you. There is no standardized method for achieving it, no universally valid argument for its reality. Despair may be a sin, as my Catholic friends told me in the first weeks after my diagnosis, but their telling me so did nothing whatever to lift me out of it. I had to find my own way out. Every man’s capacity for hope is as unique as his taste buds. Don’t try to make hopeful sounds, then. What I found consoling was the consolation that was offered to my wife. It helped enormously to know that she and the children would not be left alone, even if I were to leave them. Similarly, I guess, it gave me steel to understand that I was important and dear to some people. Three or four of my friends were particularly good at this, dropping into my hospital room to say, “I read something today that reminded me of you,” or, “I listened to something and wondered what your reaction would be.” Only two people thought to send me books—no one sent me any movies—and even though the books they sent weren’t really to my liking, they meant a lot to me. Then there were those who never even contacted me, including my own sister. Nothing quite makes you more aware of the nothingness that awaits you on the other side of Stage Four cancer. My advice: say anything, keep it light and trivial if need be—better lightness and triviality, in fact, than the awkward groping for profundity—but say something. If you say nothing, because you are afraid that you will not know what to say, then you are abandoning the cancer patient to his worst fears, and indulging your own self-centeredness and even solipsism at his expense. But silence is not the worst breach of cancer etiquette. The worst, in my experience, is to suggest alternative treatments, to announce that you’ve heard, vaguely and fourth-hand, of amazing breakthroughs in treatment. For then you put the cancer patient in a terrible predicament. He longs desperately to tell you to perform an anatomically impossible sexual act upon yourself, but he must remain polite—he must think of how to protect your feelings, while you have given no thought at all to protecting his.